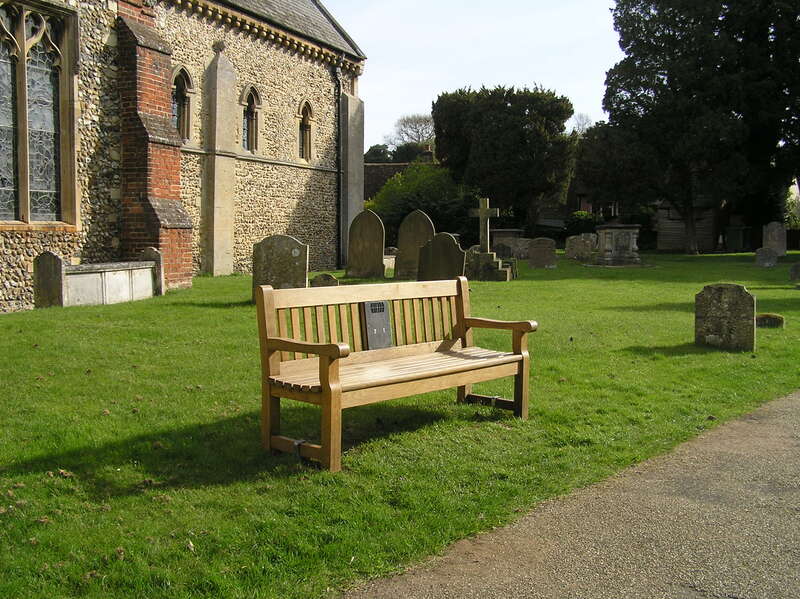 Welcome to the information page for the listening bench installed in Castle Hedingham, Essex. Here you can find out more about the clips featured on the bench. The clips currently loaded onto the bench highlight what life was like in the village in the past, and the impact that Hedingham Castle has had on people’s lives. The bench is located in St Nicholas churchyard, Falcon Square, near the entrance. This bench was put together by the Hedingham Heritage Society in collaboration with the Essex Record Office, as part of the Heritage Lottery Funded project, You Are Hear: sound and a sense of place. Introduction to the bench, followed by a story by Nellie Plumb about a fire at Hedingham Castle in the early twentieth century. Listen to the full interview on Essex Archives Online. Charlie Bird describes the Scouting activities he took part in as a boy. Listen to the full interview on Essex Archives Online. Nellie Plumb worked as a cook at Hedingham Castle. Here she describes one of the hazards of the job. Listen to the full interview on Essex Archives Online. Monica Nash recalls her schooldays in the 1940s. She also describes some of the shops in the village at the time. Listen to the full interview on Essex Archives Online. Charlie Bird talks about the evacuees billeted in Castle Hedingham during the Second World War. Listen to the full recording on Essex Archives Online. Monica Nash shares more memories about the shops and pubs in Castle Hedingham in the mid-twentieth-century. Listen to the full interview on Essex Archives Online.